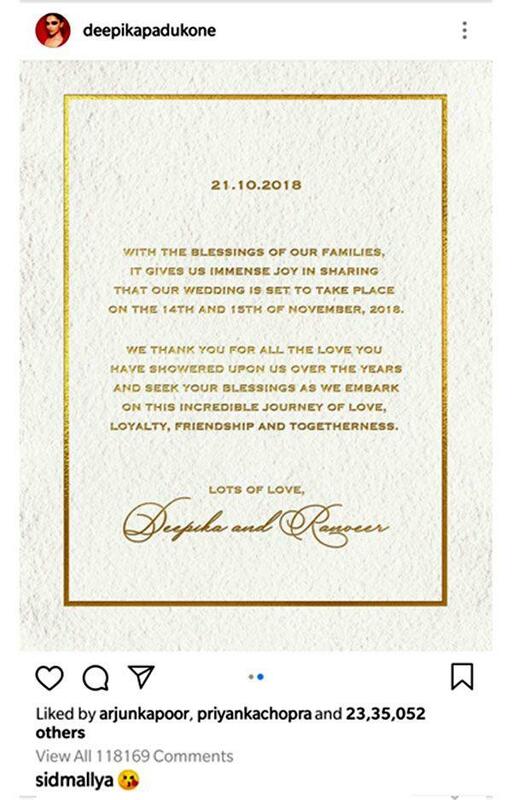 The English invite could be read as, “With the blessings of our families, gives us immense joy in sharing that our wedding is set to take place on the 14th and 15th of November, 2018. We thank you for all the love you have showered upon us over the years and seek your blessings as we embark on this incredible journey of love, loyalty, friendship and togetherness. 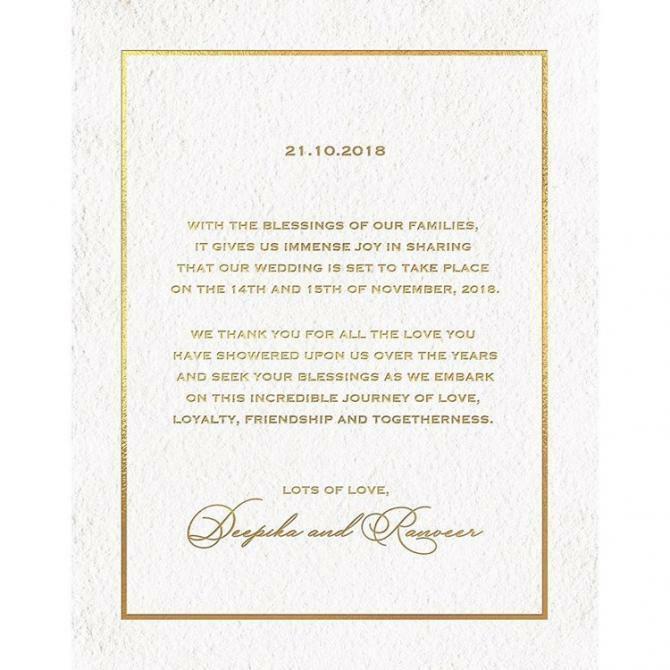 Lots of love, Deepika and Ranveer”. 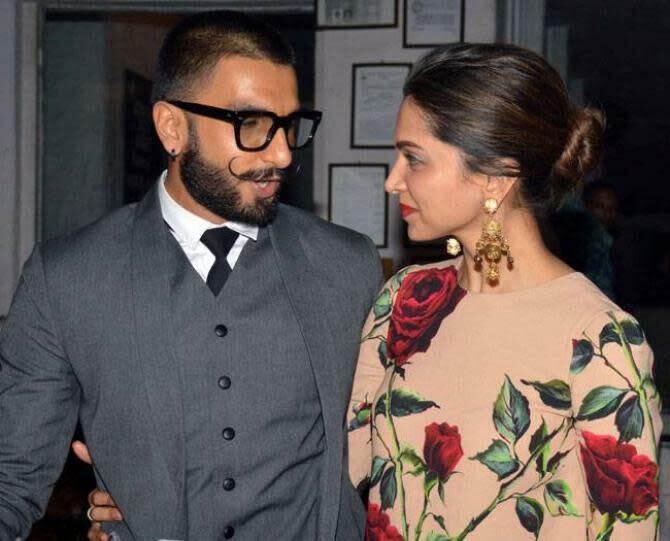 As for Deepika and Ranveer, now that their wedding date is confirmed, rumours are rife that they would go on a short honeymoon post their wedding owing to Ranveer’s work commitments. An online tabloid reported, “The couple will head for a brief honeymoon before Ranveer dives into the promotions of Simmba which opens on December 28”. However, the wedding venue has yet not been confirmed but speculations are doing the rounds that Deepika and Ranveer would tie the knot in Italy. A Filmfare report earlier suggested, “Both Ranveer and Deepika were keen on having a destination wedding in Italy and they have finalised Lake Como as their wedding destination. The place is dotted with exquisite villas along the shoreline, which is why both of them decided to wed in this beautiful place”. Another report in MissMalini has suggested that the couple would also host two wedding receptions, one in Mumbai and the other in Bangalore. 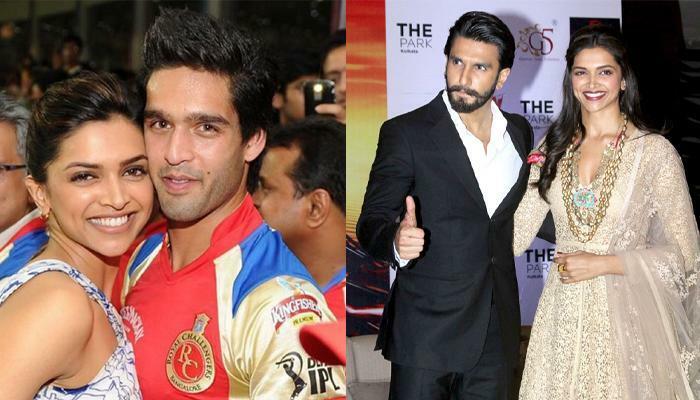 The report could be read as, “Both Ranveer and Deepika have been quite busy as the wedding dates are arriving. While Ranveer is working day and night to wrap up the schedule of his film, Simmba, Deepika, on the other hand, is paying attention to every minute wedding detail. While the couple has announced their wedding dates, the duo will be hosting a grand reception in Mumbai on the November 30th and the 1st”. Well, we can’t wait for November 14 and 15 to arrive, right guys? 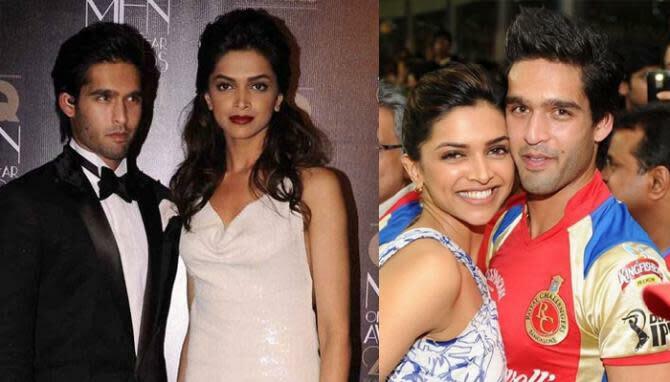 Also, how did you feel about Deepika Padukone’s ex-boyfriend, Siddharth Mallya’s reaction on her wedding confirmation? Share your comments below.